Today was 75 degrees in Seattle and it seemed the whole city was out and about drinking iced coffee in tank tops and perhaps not working all that hard. When we have a hit of sunshine like this in April (or, really, any time of the year), we’re all really good at making excuses to leave the office early — or, simply, to “work from home.” I just got back from LA last night, unpacked in a whirlwind this morning, and took Oliver to meet up with three friends from our parents group at the zoo. The only other time I’d been to the Seattle zoo was once with Sam a few years ago when we arrived thirty minutes before closing and ended up doing a whirlwind tour — sprinting from the giraffes to the massive brown bear to the meerkat. The visit today was much different: we strolled slowly trying to avoid the spring break crowds and beating sun. I managed to only get one of Oliver’s cheeks sunburned, and he even got in a decent nap. A success of an afternoon, I’d say. Coming home I realized we didn’t have much in the fridge for lunch — but thankfully there was a respectable stash of Le Croix (Le Croix season is back!) and a small bowl of this whole grain salad I made right before I left town. It’s the kind of salad that’s meant for this time of year: it pulls off colorful and fresh despite the fact that much of the true spring and summer produce isn’t yet available. 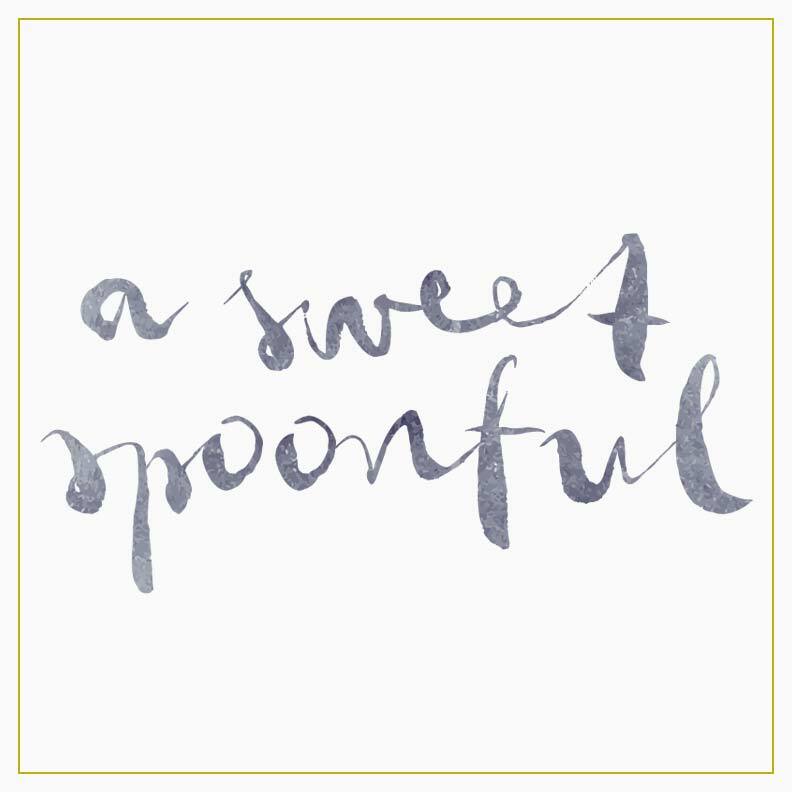 And for that reason, I make a few versions of it in early spring, often doubling the recipe so there’s always the possibility of having a small bowl at 1 p.m. while the baby naps in the car seat, one cheek sunburned, windows and back door open — a warm breeze creeping into the kitchen. I originally developed this recipe for my whole grain column in Edible Seattle, and at the time was longing to work in as much color as possible to kick the mid-winter blues. Lemons help. Preserved Meyer lemons really help. We always make a few jars of preserved lemons sometime in January or February and love using them in salads, hummus, dips — so many things, really. If you’ve never made them, they’re so, so simple and after awhile you don’t need a recipe; it’s more of a method and a feel than anything. But this is a good place to start. 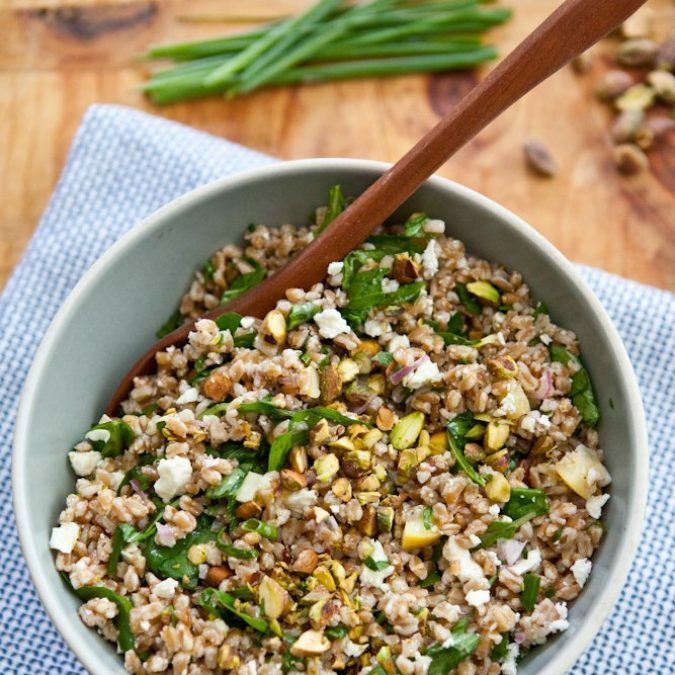 For this salad, I used Hayden Flour Mills’s farro which is so wonderfully nutty and chewy. 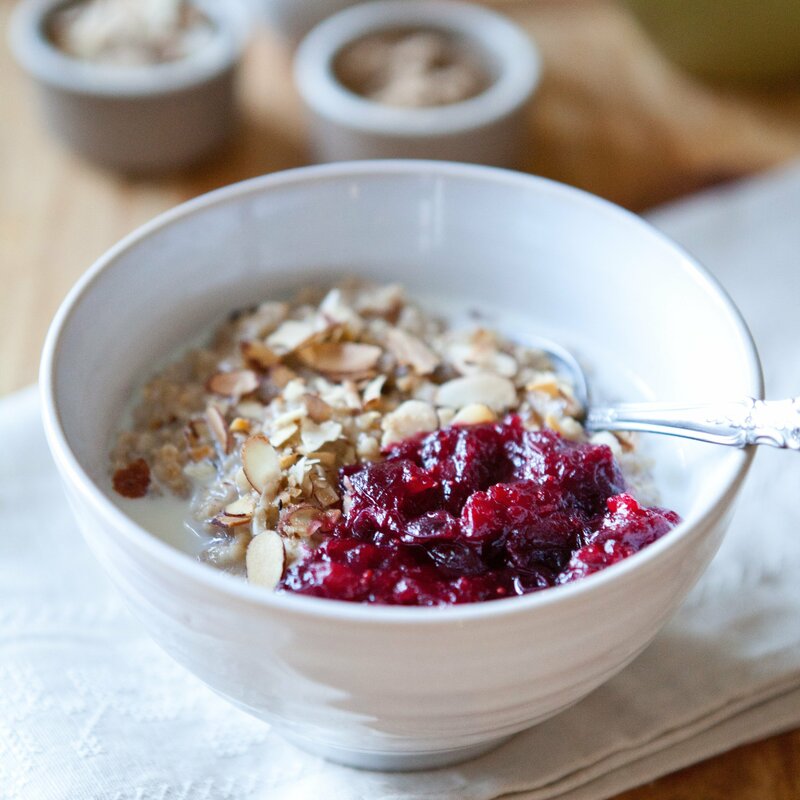 If you’re not familiar with the company, they are led by a father / daughter team based in Arizona and they’re doing really amazing things with whole grains. I love their pancake mixes, purple barley and whole grain crackers — and it just so happens that Sam’s graphic design firm, Neversink, revamped their new packaging. 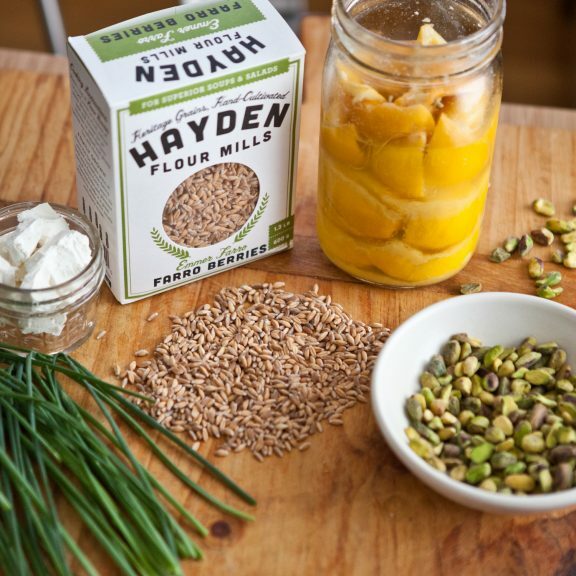 It’s always nice when good people get to work together to make something great truly shine, and I think that’s exactly what happened with Hayden Flour Mills’ products. I hope you had a wonderful week, and I want to thank all of you for your sweet, encouraging comments on motherhood, balancing work, and life in general. I know I’ve said it before, but I realize there are hundreds (thousands?) of online forces vying for your attention and energies, and I so appreciate you all stopping by this pocket of mine. And taking the time to leave a comment every now and again. It really means so much. I love the idea of cooking grains in a little broth to up the flavor! And thus combination of flavors looks perfectly springy and light--I imagine a little blanched asparagus would be delightful too. Preserved lemons are magic and this salad looks like what I need right about now. P.S. I am loving following along your journey as a mama. Precious days. There are hundreds out there but yours is definitely one of my favorites! This looks really interesting and timely (record breaking temps this week in Sonoma County). Could I sub in lemon zest or something in the absence of preserved lemon? I still have a bunch of Meyer lemons on the tree. 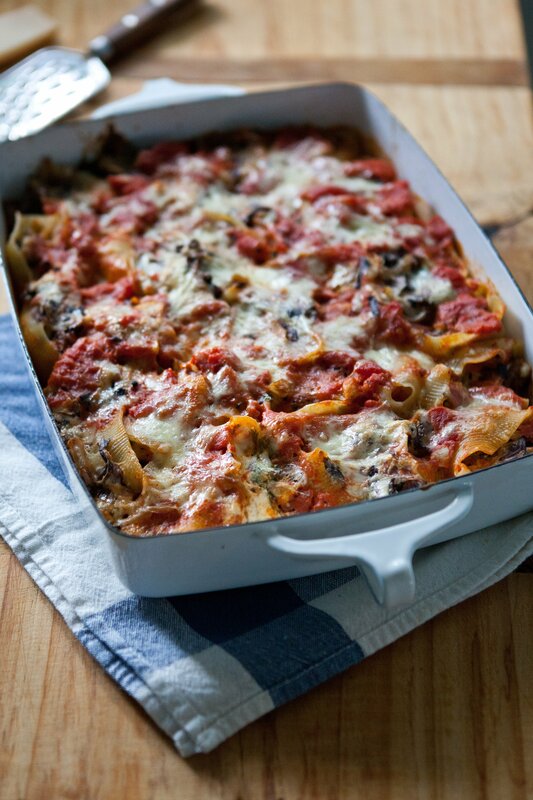 This looks great for some lunches this week. This looks so good! Preserved lemons are my favorite secret ingredient. 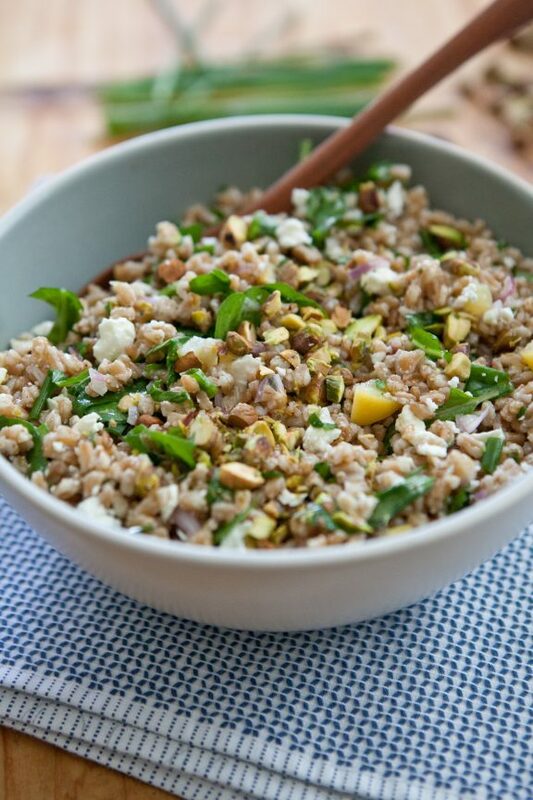 Thanks for using our farro- what an honor. The new packaging is very photogenic :) thanks to Neversink! What a delicious recipe! A big hit at a potluck and a welcome burst of sunny lemon before winter! So glad you enjoyed it, Gretchen! Love discovering this and seeing you love Hayden Mills. We moved from Seattle to Phoenix about 12 years ago and love seeing our local farmers and producers getting recognition for the amazing work they do. Hayden Mills also makes really great flours for artisan bread, pastries or fresh made pasta. And because we have a lemon tree, preserved lemons are always in the fridge! This is a great recipe. Thank you for sharing. I added a splash of white wine vinegar, omit the preserved lemon (still uses the juice) and added a handful of dried cranberries and some diced roasted pimentos (red peppers). Delish! YUM! Love your tweaks, Emmy. Sounds delicious.